Through careful research and planning, our team designed the Terraces at Morehead Hill to maximize the relationship between natural surroundings and urban walkability. 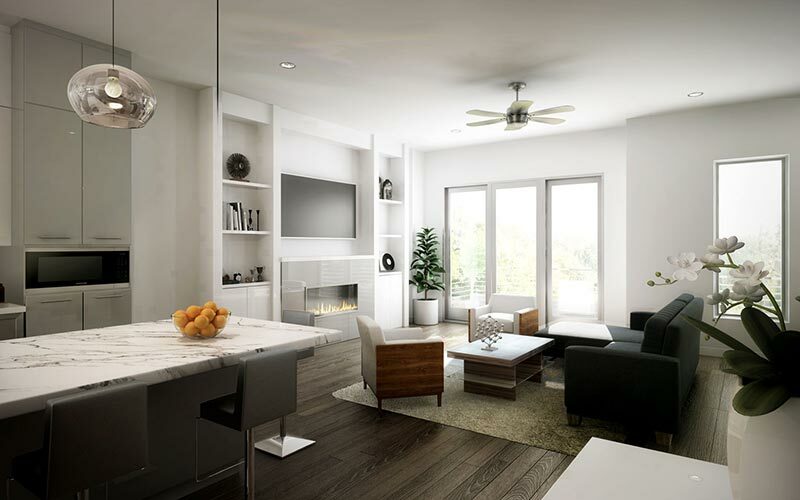 Each townhome features a spacious rooftop terrace, breathtaking views, oversized windows, and stunning interior finishes that blend quality, character, and style. In the early 1900s, Morehead Hill was home to many of the who’s who of Durham – from tobacco moguls, to factory owners, to bankers. You’ll quickly see why the neighborhood’s separation from the hustle and bustle, while still being close to the downtown core, drew the community’s most affluent residents. 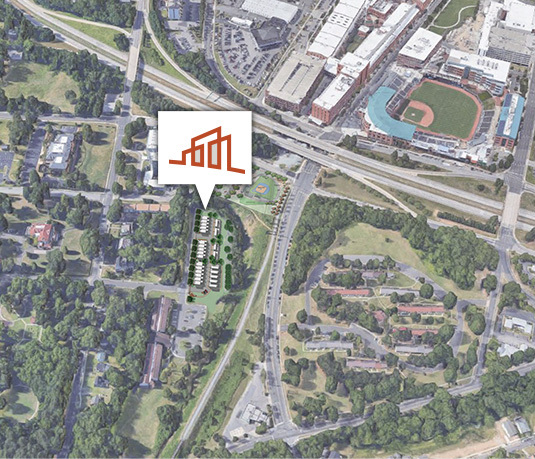 Today, the Terraces at Morehead Hill are uniquely positioned in a location that is both rich with historic charm, and on the cutting edge of future growth in one of the Triangle’s most dynamic cities. Lead by the Florian Companies, an experienced local developer with a depth of knowledge in both architecture and construction, our team believes in a meticulous, quality-oriented approach. DAS Architecture brings a wealth of residential design expertise along with their cutting-edge technology and approach to design. Coulter Jewell Thames is a prominent Durham land design firm who shares in the team’s vision for best in class approach to project design. Development partner California Commercial Investment Companies (CCI) is an experienced national real estate investment company active in 29 states.